On this day we celebrate the birthday of one of America’s most celebrated if also creepiest writers: Edgar Allan Poe. For decades, an anonymous fan, dressed in black with a wide-brimmed hat, white scarf and a silver-tipped walking cane, has honored Poe’s correct birthday by leaving a bottle of cognac and three long-stemmed roses at the foot of his monument. My favorite tale about honoring Poe, however, is the probably apocryphal one in which controversial Baltimore satirist H. L. Mencken would conclude his drinking parties by walking over to the Westminster Burying Ground and urinating on Poe’s grave out of respect. 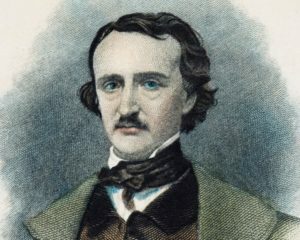 Many medical fans of Edgar Allan Poe have shown their respect, too, but have done so in purely pathological contemplation on how (and why) the writer died so young. As the story goes, one rainy, nasty night of Oct. 3, 1849, Joseph Walker, a pressman for the Baltimore Sun, was making his way to Gunner’s Hall. The occasion was election night and the hall was the polling place for Baltimore’s old 4th Ward. On his way there, Walker found a man, lying in the gutter, confused, bedraggled, and under the influence of some type of intoxicant. Shabbily dressed (in someone else’s clothing, as it turned out), Edgar Allan Poe was in dire need of medical assistance. Poe was taken to the Washington Medical College. There, he spent the next four days chased by delirium, frightening hallucinations and incoherence, as he made repeated calls for someone named “Reynolds.” The writer died at 5:00 a.m. on Sunday, Oct. 7. The attending physician, Dr. John J. Moran, reported the cause of death as phrenitis, an antiquated term for swelling or congestion of the brain. It was also a common way of politely referring to death by means of alcoholism. Sadly, none of Poe’s medical records or even the actual death certificate survives. He was only 40 years old. To this day, the cause of Poe’s death or even how he came to die in Baltimore remains a mystery worthy of the man who invented the detective story. That story, of course, was “The Murders in Rue Morgue” (1841) and the detective was the extraordinary Monsieur C. Auguste Dupin. Forty-six years later, in the first Sherlock Holmes story (Arthur Conan Doyle’s 1887 novel “A Study in Scarlet”), Holmes famously criticizes Dupin as “a very inferior fellow” after his roommate, John Watson, M.D., tells Holmes that he reminds him of Poe’s character. 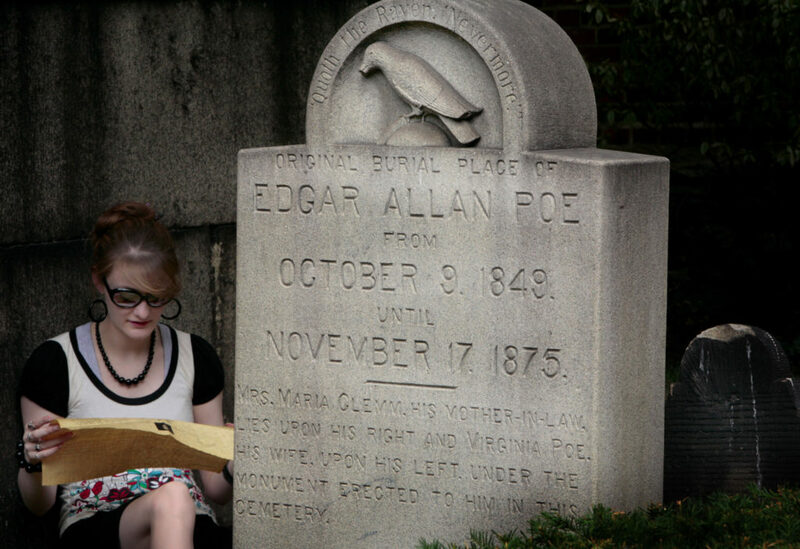 The mystery of Poe’s death began on Sept. 27, 1840, when he left Richmond, Virginia, bound for Philadelphia to help a now forgotten poet, Marguerite St. Leon Loud, prepare a collection of her poems for publication. Poe never made it to the City of Brotherly Love and likely stopped over in Baltimore for a drinking spree with some old Army buddies he met while at West Point (from which he was dishonorably discharged in February 1831 for disobedience, failure to follow orders and a decided refusal to attend classes, daily formations and chapel services). A notorious drunk and opium addict, many historians have hypothesized that an inebriated Poe met up with some unsavory characters, was badly beaten, and left for dead in the street. Other Poe-ologists insist he was a victim of “cooping,” a form of voter fraud then practiced by political parties of the 19th century. Some Poe-ologists insist he was a victim of “cooping,” a form of voter fraud then practiced by political parties of the 19th century. In short, cooping victims were basically kidnapped, beaten, disguised, and then forced to vote for the gang’s candidate multiple times under different names. As a reward for each vote cast, victims were treated to a schooner of beer or a shot of rotgut whisky. This practice was especially popular in Baltimore during the mid-19th century and fits nicely with how Poe was found near a polling place, in another man’s clothing, and, clearly, under the influence. More creative post-mortems have suggested Poe died of carbon monoxide poisoning from spending too much time indoors and breathing in too much coal gas (tests on the writer’s toenail clippings were inconclusive) or mercury poisoning, which Poe might have received as a treatment while in Philadelphia during a July 1849 cholera epidemic. (Although Poe’s hair did indicate exposure to mercury, a common medicinal of the day, it was 30 times less than the level seen with those suffering from true mercury poisoning). And because doctors love to diagnose the diseases of long departed, famous people, the list of possible causes goes on and on (without any pathologic evidence or even common sense), including such widely various conditions as rabies, a brain tumor and influenza. In the end, we’ll probably never know what carted poor Edgar Allan Poe away (although I like the “cooping” explanation best). 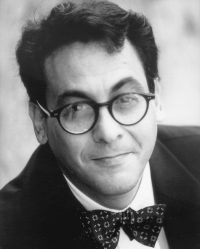 Oddly, for a poet whose most famous line is “Quoth the Raven, Nevermore,” that ever-growing list is unlikely to die any time soon.